Happy First Day of School. Hope everyone had a fabulous day. I just wanted to share some of our Fall Fundraisers that will be going on this month. The Burgess DIRECTORY Form is posted on the FB page and here on the website. If you would like your information in the Directory, it is FREE, but if you would like to purchase a Directory for yourself it is $6.00 and $4.00 to put a personalized message to your child. Directory Deadline is September 19th. Also, we had an opportunity to participate in the MABELS LABELS fund raiser that will support our school as well as keep all those items our kids loose track of labeled and hopefully out of lost and found! 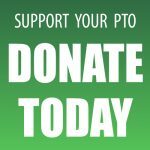 Click on the link, campaigns.mabelslabels.com , now select Burgess PTO (Sturbridge) from the School/Organization list. Next, click the pink “click here to buy” button. 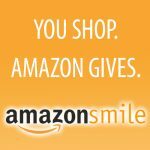 You are now on our website and are ready to shop through our fundraiser. To ensure your order gets credited to our campaign, make sure you see Burgess PTO (Sturbridge) listed on the top left of each page. Lastly, we have a new line of BURGESS WEAR this year. Check out our online store and see whats new with Burgess Wear. https://burgesspto18.itemorder.com You will find a new logo added to our Burgess Bear logo and some more options for styles. Please note that all orders will be online this year. If for some reason you can not order online, please contact us at burgesswear@gmail.com and we can help you place an order. Deadline for Burgess Wear Orders is September 16th. OPEN HOUSE is Wednesday, September 5th. 5:00-7:30. We will be promoting our new line of Burgess Wear that night at the PTO Table. We will have some Hats, Socks, Magnets, Dismissal Pads and Tervis Cups available for sale and we can now accept cash, check or Credit Cards. If you have any questions about the PTO, we will be happy to answer them at the Open House. Come visit us and meet some of our volunteers. Enjoy the rest of your first week of school and have a wonderful Labor Day Weekend.